In this lesson we discuss Lesson 28 of the Old Testament for the LDS Sunday School. In this lesson we go over the prophet Elijah and how his mission ends and he is taken up to heaven. We then go over how Elisha takes the mantel of Elijah and becomes the next prophet in Isreal. I hope that the information presented will help you in teaching your gospel doctrine class. This entry was posted in Gospel Doctrine Helps and tagged elijah, Elijah and Elisha, Elisha, gospel doctrine, gospel doctrine class, gospel doctrine helps, lds, mormonism, old testament lesson 29 on July 16, 2018 by admin. 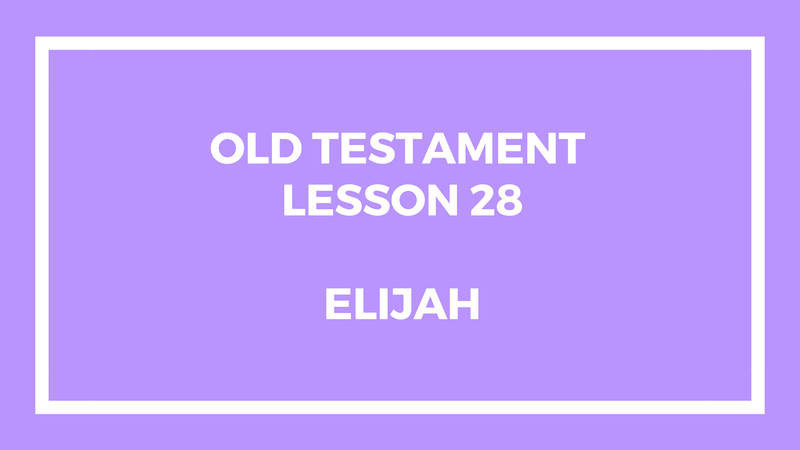 In this lesson we discuss Lesson 28 of the Old Testament for the LDS Sunday School. In this lesson we go over the prophet Elijah. I hope that the information presented will help you in teaching your gospel doctrine class. This entry was posted in Gospel Doctrine Helps and tagged elijah, gospel doctrine, gospel doctrine class, lds, mormonism, old testament lesson 28, sunday school on July 14, 2018 by admin.